Unless otherwise advised, go home and rest. Lie down with your head slightly elevated or sit in a reclining position. Try to keep activity and talking to a minimum. When the anesthetic wears off within 1-4 hours, you may experience mild-moderate discomfort. Mild discomfort can be managed with Ibuprofen (Advil, Motrin) or Acetaminophen (Tylenol) every four hours. If a narcotic pain reliever (with Codeine) has been prescribed, please eat first and take as directed only when necessary. It is quite normal if you experience more discomfort 3-5 days after surgery. Don’t worry! Discomfort typically diminishes thereafter. If an antibiotic has been prescribed, be sure to take the medication as directed and to complete the course even if you have no pain. For the next few days you may notice some oozing and slight bleeding. This is quite normal. Please do not rinse your mouth for the first 24 hours. Apply a moistened gauze pad or a moistened tea bag (not herbal) with a firm, yet gentle pressure against the bleeding site for 15-30 minutes. Repeat if necessary. For an extraction site, slight bleeding may occur for up to 2 days. If excess bleeding continues, please call our office. Slight swelling is normal and it usually peaks approximately 2-5 days after the surgery. Please avoid brushing and flossing the surgical area for the first 10 days until further instructed at your follow-up visit. You can brush all other teeth as regular. Begin using the prescribed mouthwash on the surgical area twice daily starting the morning after the surgery. Use ice therapy for at least the first 3-5 hours following the surgery. Apply ice in a bag to the cheek overlying the surgical site. Apply ice for 10 minutes and then 10 minutes break. After extractions, do this for 6+ hours. If you have swelling after 48 hours, switch to warm compresses. Do not use moist heat during the first 48 hours following surgery. After that time, if some swelling or bruising is present, consider applying moist heat on your face over the surgical area (warm moist towel, compress, etc.). It will increase circulation and decrease swelling/bruising. Be careful not to burn your skin. It is suggested to refrain from alcoholic beverages 3-5 days following surgery. Alcohol can delay wound healing and cause increased bleeding. Do not drink alcohol while under the influence of narcotic pain relievers. Avoid hot food and drink for the next 24 hours. Avoid hot or spicy, sharp or hard food (apples, potato chips, carrots, French bread, small seeds, etc.). Try to stay on a soft food diet. If chewing is uncomfortable, pre-cut your food or use a food processor. Put vegetables in low-sodium broth with some lean meat or pasta. Minimize the use of salt, which can increase swelling and pain in your mouth. Smoking will significantly impair proper healing. Please do not smoke for the first 7-10 days to ensure proper healing. Discomfort, loose teeth and sensitivity to cold are sometimes associated with the post-surgical healing period. These will decrease over time. For the next few days you may notice some oozing and slight bleeding. This is quite normal. Please do not rinse your mouth for the first 24 hours. Apply moisten gauze pad or a moisten tea bag (not herbal) with a firm yet gentle pressure against the bleeding site for 15-30 minutes. Repeat if necessary. Mild discomfort can be managed with Ibuprofen (Advil) or Acetaminophen (Tylenol) every four hours. If a narcotic pain reliever has been prescribed, please eat first, and take as directed only when necessary. Please do not take aspirin. If an antibiotic has been prescribed, be sure to take the medication as directed. Use ice therapy for at least the first 3-5 hours following the surgery. Apply ice in a bag to the cheek overlying the surgical site. Apply ice for 15 minutes and then 15 minutes break. If you have swelling after 48 hours, switch to warm compresses. Please avoid brushing and flossing the surgical area for the first 10 days until further instructed at your follow-up visit. Begin using the prescribed mouthwash on the surgical area twice daily starting the morning after the surgery or you can use the Antioxidant Gel as prescribed. You can brush and floss all other teeth as regular. Avoid hot food and drink for the next 24 hours. Avoid foods that are hot, spicy, sharp or hard (apples, potato chips, carrots, French bread, etc.) Eat a nutritionally balanced meal. A light diet is recommended for the first day. Discomfort, loose teeth and sensitivity to cold are sometimes associated with the post-surgical healing period. This will decrease over time. To help you get the best result after the surgery please read these instructions and refer to them immediately after your treatment and also during your first week of healing. Do not look at surgery, do not pull lip to visualize. When the anesthetic wears off within 1-4 hours, you may experience mild-moderate discomfort. Mild discomfort can be managed with Ibuprofen (Advil, Motrin) or Acetaminophen (Tylenol) every four hours. If a narcotic pain reliever (with Codeine) has been prescribed, Please eat first and take as directed only when necessary. Do not use Aspirin. If antibiotic has been prescribed, be sure to take medication as directed and to complete the course even if you have no pain. Because you graft was placed in a pouch, there will be minimal visible bleeding that will show in your mouth. You might notice pink saliva. That is normal. If excessive bleeding occurs, please call our office. Use ice therapy for at least the first 3-5 hours following the surgery. Apply ice in a bag to the cheek overlying the surgical site. Apply ice for 15 minutes and then 15 minutes break. After extractions, do this for 6+ hours. If you have swelling after 48 hours, switch to warm compresses. Please avoid brushing and flossing the surgical area for the first 10 days until further instructed at your follow-up visit. You may notice a white film over the surgical site. This is completely normal. You can brush all other teeth as regular starting the following day. At your surgical visit you will purchase AO Pro Vantage Gel. It is a dental antioxidant that is very soothing and promotes healing. Apply two pumps to the surgical site every three hours during waking hours the first week after surgery, then three times per day until your first post-operative appointment. Avoid eating and drinking for 30 minutes after application of the gel. DO NOT use an electric toothbrush at the surgical site for 8 weeks following surgery. After 24 hours, you may have soft food such as cooked vegetables, fish, pasta, meatloaf, which are easily cooked. Pre-cut your food or use food processor. Minimize the use of salt, which can increase swelling and pain in your mouth. AVOID, Peroxide, Alcohol, Carbonated beverages, and drinking through a straw. DO NOT SMOKE FOR THREE WEEKS AFTER THE SURGERY. Smoking will significantly impair proper healing and dramatically affect the results of the surgery. We do not use the type of sutures that dissolve by themselves for grafting procedures. We use a suture that is non-reabsorbable, causes no inflammation and repels bacteria. Your sutures will be removed at the two-month post-operative visit, which is simple and requires no anesthesia. After tooth extraction, it’s important for a blood clot to form to stop the bleeding and begin the healing process. That’s why we ask you to bite on a gauze pad for 30-45 minutes after the appointment. If the bleeding or oozing still persists, place another gauze pad and bite firmly for another 30 minutes. You may have to do this several times. After the blood clot forms, it is important not to disturb or dislodge the clot as it aids healing. Do not rinse vigorously. 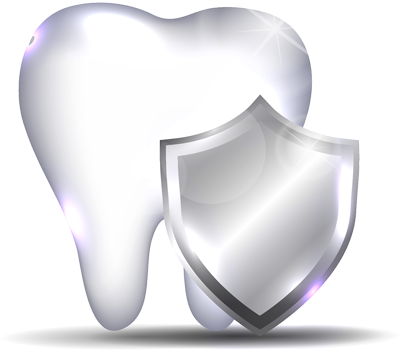 After the tooth is extracted you may feel some pain and experience some swelling. An ice pack or an unopened bag of frozen peas applied to the cheek overlying the surgical site 15 minutes and then 15 minutes break will keep swelling to a minimum. Take pain medications as prescribed. The swelling usually subsides after 48 hours. Use the pain medication as directed. Call the office if the medication doesn’t seem to be working. If antibiotics are prescribed, continue to take them for the indicated length of time, even if signs and symptoms of infection are gone. Do not brush teeth next to the extraction site for the first 72 hours. You can brush all other teeth as regular. This should include brushing and flossing your teeth at least once a day. This will speed healing and help keep your mouth fresh and clean. After a few days you will feel fine and can resume your normal activities. It is important to resume your normal dental routine after 24 hours. Drink lots of fluid and eat nutritious food on the day of the surgery. Smoking will significantly impair proper healing. Please do not smoke for the first 5-7 days to ensure proper healing. Take over-the-counter decongestant such as Sudafed every 6 hours for the next 5-10 days. Do not use a straw, or spit, or blow your nose for the next two weeks. If you must sneeze, open your mouth to sneeze to avoid unnecessary negative pressure in your sinus, creating the possibility of bleeding and disturbing the sinus graft. Take antibiotics as directed until finished. When the anesthetic wears off within 1-4 hours, you may experience mild-moderate discomfort. Mild discomfort can be managed with Ibuprofen 600 mg every six hours for the first three days after surgery. Ibuprofen should be taken with food or milk products. If a narcotic pain reliever (with Codeine) has been prescribed, Please eat first and take as directed only when necessary. It is quite normal if you experience more discomfort 4-8 days after surgery. Don’t worry! Discomfort typically diminishes thereafter. Do not consume alcohol or drive when taking prescribed pain medication. If antibiotic has been prescribed, be sure to take the medication as directed and to complete the course even if you have no pain. For the next few days you may notice some oozing and slight bleeding or taste of blood. This is quite normal. Please do not rinse your mouth for the first 24 hours. Apply moisten gauze pad or a moisten tea bag (not herbal) with a firm yet gentle pressure against the bleeding site for 15-30 minutes. Repeat if necessary. Bleeding may occur from the nose. This is not uncommon and should pass quickly. Apply ice head wrap to the area 20 min on/20 min off, for the first 24 hours after surgery. Rest immediately after surgery, keeping head elevated. Take anti-inflammatory medications as prescribed. No heavy exercise for 36 hours. The day following surgery brush your teeth and rinse with warm salt water (1/2 tsp of salt in an 8oz. glass of warm water). Do not use commercial mouth rinses until cleared by your doctor. If chewing is uncomfortable, pre-cut your food or use food processor. Put vegetables in low-sodium broth with some lean meat or pasta. Avoid alcohol. It can delay wound healing. Smoking will significantly impair proper healing. Please do not smoke for the first 10-14 days to ensure proper healing. Echinacea should be used with caution in patients with asthma or allergic problems and should be discontinued as far as possible in advance of surgery. This herb causes a potential increase in blood pressure and heart rate. This herb has also been associated with sudden death under anesthesia. This should be discontinued at least 7 days before surgery.